It’s so exciting to see our seasonal friends return from their summers up north and out west. With their return, we start to see more and and more happenings in the community. At the Community Foundation, it’s no exception. We are ramping up for our Community Impact Grants review and the Compassionate Shark Tank so we can award resources to our nonprofit partners focused on improving the quality of life in our community. Just yesterday we held our fall Women’s Legacy Fund luncheon (see more below on the WLF grant), presented the first grant from the LGBT Fund of Southwest Florida on behalf of the contributors who established the fund, and we are preparing scholarship funds for the upcoming season starting in January. We also look forward to celebrating National Philanthropy Month in November with lots of Year-End Giving messages about easy ways to give to the things you care about most. But you don’t have to wait, you can give us a call any time because we pride ourselves on being your ongoing concierge of philanthropy. Our annual report is on the layout table and we can’t wait to share our 2016 recordbreaking results with you. It’s because of you and so many others in the community that we are able to do so much good work. Together we are a force for good! where Champions Team co-chairs Dr. Wilson Bradshaw, of FGCU, Mary Beth Geier, of the Richard M. Schulze Family Foundation and Scott Fischer, of Scott Fischer Enterprises, pulled together the Champions Team consisting of area CEOs, educators, municipalities, business and community leaders, to discuss the work of the coalition this past year. The FutureMakers Report to the Community was presented. 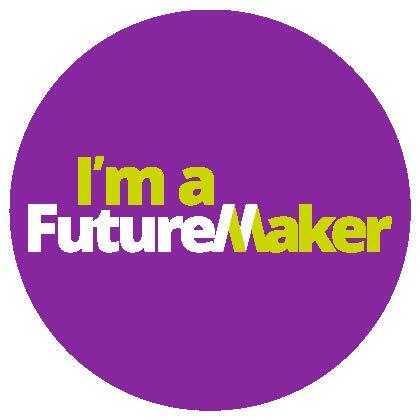 Click here to read: FutureMakers Coalition Report to the Community. At a packed house during the Women’s Legacy Fund luncheon yesterday, the WLF, a fund of the Southwest Florida Community Foundation, granted $20,000 to Florida Gulf Coast University’s Whitaker Center for STEM Education. The Girls in Engineering, Math, and Science (GEMS) program will use the funding to mentor and inspire female FGCU students and middle school girls in Southwest Florida to pursue STEM careers by providing hands-on, inquiry driven STEM activities via expertise at Whitaker Center for STEM Education at FGCU. The program’s approach involves multiple layers of mentoring including Whitaker Center mentoring during the activity development, FGCU female faculty mentoring of FGCU female STEM majors, and FGCU STEM majors mentoring middle school students. Four Saturday events are planned to reach a total of 400 middle-school girls, 84 FGCU STEM majors, and 24 middle school teacher participants. To read more, click here. And if you’re interested in learning more about the Women’s Legacy Fund, please click here or call Carolyn Rogers or Andrea McKiddie at 239-274-5900. The LGBT Community Fund of Southwest Florida, a fund of the Southwest Florida Community Foundation, has awarded its first grant on behalf of the fund’s contributors. Donors of $250 or more to the fund this year were given a vote for the grant focus area which was: Suicide Prevention. 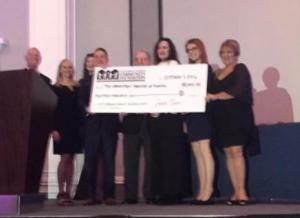 Presented during the Annual Tied with Pride Gala on Friday, October 7 the $18,000 LGBT Community Fund of Southwest Florida grant was presented to Laboratory Theater’s “Staging Teen Success Through Theater” program. This mentorship-based theater program connects youth ages 13 to 18 who identify as lesbian, gay, bisexual or transgender with successful LGBT adults within the theater community and licensed counselors. These mentors will support and nurture youth while they learn to better understand themselves and theater through research and development of plays, playwriting and scene study. For more information on the LGBT Community Fund of Southwest Florida, visit www.LGBTswfl.com. 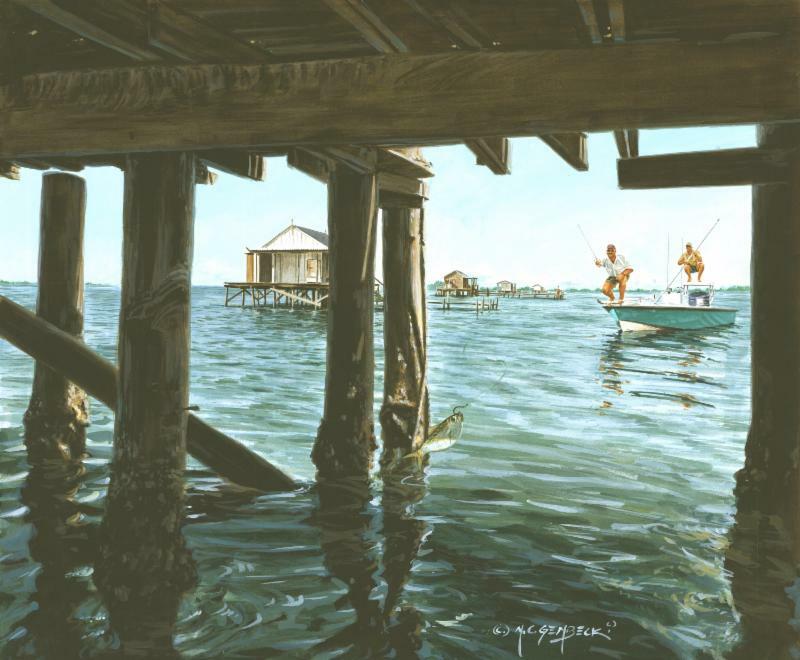 Beginning Nov. 4, “Wide Open Spaces” the Community Foundation’s fall exhibit will feature the Florida outdoors through the eyes of local artists Martin Gembecki, of Buckingham, and Brad Phares, of Okeechobee. The exhibit will feature scenes from rural Florida from farmland to lakes and the Gulf of Mexico. The exhibit is open to the public and will run through mid-January during regular Community Foundation business hours: Monday -Friday from 9 a.m. to 4 p.m. Some photos are located in meeting rooms so those interested in seeing the exhibit are asked to call before arriving to make sure all areas are accessible. The Community Hub is located at 8771 College Parkway, Building 2, Suite 201 in Fort Myers. 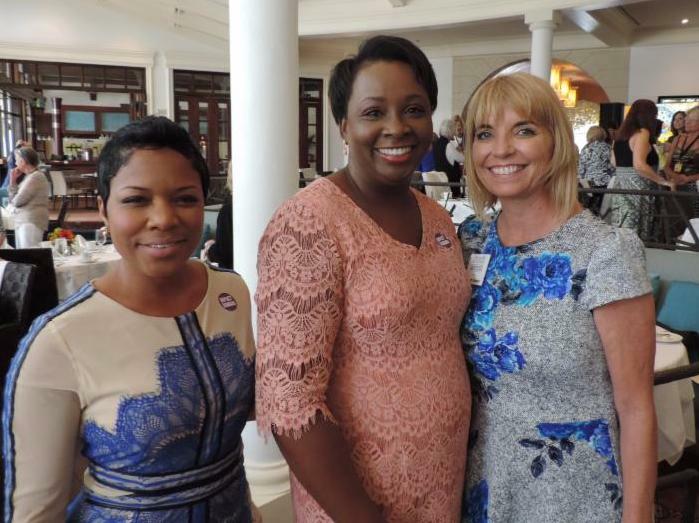 The Southwest Florida Community Foundation recently hosted appreciation receptions for its professional advisors network in Naples and Fort Myers. Community Foundation President and CEO Sarah Owen welcomed guests and thanked them for their support, guidance and introductions this past year during the receptions hosted at the home of Foundation Chairman Guy Whitesman and his wife, Ilene Saffron, in Fort Myers and the office of Trustee Juan Bendeck, Hahn Loeser & Parks, LLP in Naples. “Our professional advisors are instrumental in introducing their clients to us and we want to continue to be their resource in assisting their clients when seeking resources and causes for philanthropy in the region,” said Owen. The IMPACT Dunbar Fund was announced at the Women’s Legacy Fund luncheon today as a new part of the WLF. Founded by Karen Watson, MSW, executive director of Our Mother’s Home and Tasheekia Perry, of Crowning Daughters for Success, the fund was established to empower young women and girls in the Dunbar Community. Similar to the Women’s Legacy Fund, this new fund will include a group of women who foster the immersion of women in philanthropy and develop Dunbar’s next philanthropic leaders. 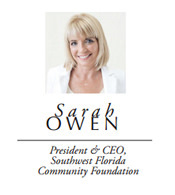 “We welcome the women of Dunbar who want to make a difference and create change in our region starting in their own neighborhood,” said Sarah Owen, president and CEO of the Southwest Florida Community Foundation. For more information on IMPACT DUNBAR or the Women’s Legacy Fund, click here. Year-End Giving Ideas – We Make it So Easy! Making a year-end gift is as easy. We’d like to make it even easier with simple ways you may be able to save and give. Of course giving is more than tax brackets and charitable deductions. You can give your time, your talent as well as your treasure to an organization or organizations you care about. This is just a brief outline of options of how you can give through the SWFL Community Foundation, and the ways we can help you express your philanthropy. The tax laws intentionally encourage charitable giving. Because of the income tax charitable deduction, individuals who make their gifts by December 31 and itemize can significant reduce their current income taxes for 2016. Example: if you make a charitable gift of $10,000 in 2016, you can save $3,300 in taxes if you’re in the 33% tax bracket. And the higher your tax bracket, the more money you save with a charitable gift. Call us or your wealth/tax advisor if you’d like to talk about Gifts of Stock, Life Income Gifts (such as Charitable Gift Annuities), IRA Charitable Rollovers, Your Will or Trust, and/or your Legacy Planning. We are here to help! 239-274-5900 or email [email protected]. 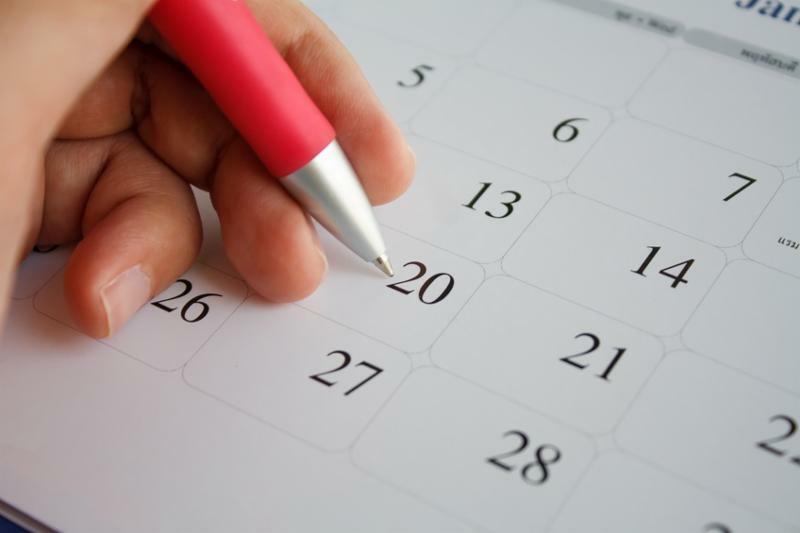 We urge you to discuss your 2016 year-end tax planning with your account and other professional advisor.